A lot of people have introduced themselves to me in my lifetime. I just have one of those faces. I look like someone you knew or really liked in grade school or high school or college. It’s my hair or my smile or my something that just sparks a memory. Even Malik Yoba swore we’d met before, but I’m pretty sure I would have remembered. As time went on, and I had more clout in the publishing industry, it was less about my face and more about my name. I’d get a lot of, “Where do I know that name from?” It’s a unique name. I’m the only one in the world. So obviously, it was me they’d heard about. But where? There were lots of places. I’d rattle off a few. Sometime I’d guess; sometimes I wouldn’t. People in general know my name now (if not how to pronounce it), and have seen my writing in one form or another. It’s always fun to hear just where that is. Sometimes, it’s a venue that surprises me. 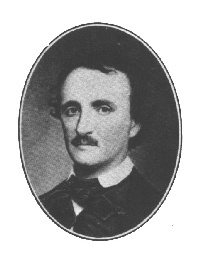 Recently, I had a girl introduce herself and tell me that she’d read my Poe essay in Weird Tales. Can you believe I’d almost forgotten about that one? The essay was called “Teen Angel, Dark.” and was all about how Poe was me secret emo high school boyfriend. It was so much fun writing that and such an honor being part of the Weird Tales family. Since meeting that girl, Leanna has sported many things in the way of Ravenesque accoutrements–including a Poe cameo choker. Just today, a statistic on my blog dashboard reminded me that the essay is still featured online, as a free read. As it is October, and Halloween Appreciation Month, I thought it would be a fine idea to remind folks about the existence of this little secret confession. It was published back in November of 2009, but it is still available on the intarwebs HERE. It reads like something straight out of my teenage diary. Perhaps one day I’ll be bold enough to post some of those entries, too. This entry was written by Princess Alethea and posted on October 10, 2011 at 8:11 am and filed under Essays, life, writing. Bookmark the permalink. Follow any comments here with the RSS feed for this post.